CUCKFIELD”S MUSEUM TALK: Thursday 12th April, 2.30 pm, the Council Chamber, The Queen’s Hall “An Investigator Calls”, an illustrated talk by Neil Sadler. Neil takes a behind the scene look at police investigation into missing people searches with a variety of well-known cases, and, from an insider’s view, the Grand Hotel bombing of 1984. CUCKFIELD WI: The meeting, which took place on Tuesday 20th March, saw 23 ladies meet at Cuckfield Baptist Church to hear speaker Carole Andrews discuss “Girls do Science”. It was with great interest that the women heard stories of sadness, elation and great achievement, with a re-occurring theme of men taking all the credit. In a society where the media is currently focused on the gender pay gap and “times up” campaign it was an incredibly relevant topic. 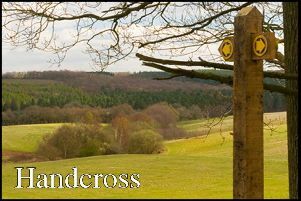 It was confirmed that we will be holding a stall at the Cuckfield Cuckoo Fare on Monday May 7th. We welcome new members and meet on the third Tuesday of each month. For details please contact hayley.bradbury@yahoo.co.uk. CHORAL MUSIC FROM CENTRAL AND EASTERN EUROPE: Brighton Consort (director James Dixon) will be presenting a programme entitled “An Eastern Easter” on Sunday April 8th (6.00 p.m.) in St Wilfrid’s Church, Haywards Heath. The concert will feature music from the 16th and 17th centuries by Polish, Czech and German composers. The choir will be joined by soloists Liz Kelly (soprano), Helen Burn (alto), Dominic Bevan (tenor) and Simon Madge (bass), with instrumentalists from The Corelli Ensemble and Nick Houghton (chamber organ). Tickets from www.brightonconsort.org.uk or 01273 833746 or on the door. The concert is being repeated on Friday April 13th (8.00 p.m.) in St George’s Church, Brighton.